Railways keep the grain industry moving, quite literally. The majority of grain movement throughout North America is handled by truck, barge and rail logistics. Grain elevators, loading terminals and a variety of other facilities need to be able to index cars in order to get them loaded, unloaded and well on their way. Heyl & Patterson has perfected the art of railcar positioning in a simple and effective manner. Urea, sometimes called carbamide, is a solid organic crystalline compound that is colorless, odorless and highly water soluble. It is formed naturally in mammals, and serves an important role in the liver as the main nitrogen-containing product that breaks down amino acids, proteins and ammonia into waste. The kidneys scrub the urea from the blood and deposit it into the urinary tract, and it then makes up the chief solid material dissolved in urine. 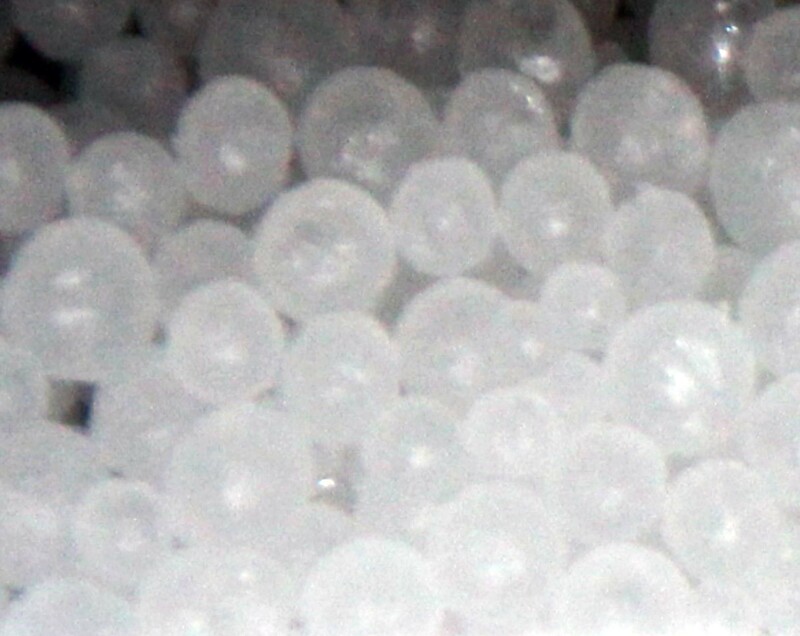 Urea can also be synthesized inexpensively from abundantly available inorganic materials. Because urea offers wide-ranging uses in many different industries, it is produced regularly and is available in large quantities for use throughout the world. The railcars in a unit train all carry the same commodity, originate from the same location and travel to the same destination. High-volume bulk materials such as coal, coke, iron ore and aggregates are typically transported this way, as well as bulk liquids like ethanol, crude oil and condensate. All the railcars tend to be nearly identical, inside and out. Unit trains save time and money for a railroad, and eliminates any delays and confusion associated with assembling and disassembling the trains at railyards at both ends of the operation. This type of service enables railroads to more effectively compete with truck transportation and river barges. Locomotives are a common means of moving railcars and strings of cars, but that action does not make them rail car movers. 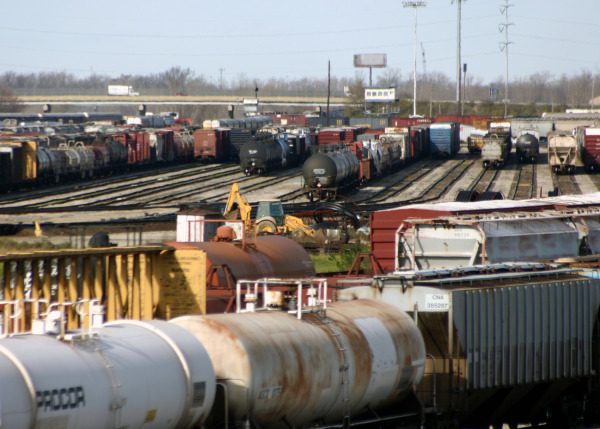 Ports, power plants and industrial facilities share the logistics of locomotive use to break trains into strings, transfer strings to the loading or unloading facility, position individual cars for loading or unloading, re-assemble trains and perform other rail duties at a particular facility. However, more manpower is needed, and safety is always a major concern. Line of sight is never optimal, so any train movement could result in injury or worse. The more efficient an oil sands operation is, the more profitable it can be. The crude by rail industry has become an important means of transporting oil within Canadian provinces, to the lower 48 states, and to Europe and Asia. Rail has become so vital because development of pipelines such as the Keystone XL have been delayed, and construction on pipelines for oversea exports is just getting under way. The sole purpose of a locomotive is to move a train along railroad tracks. It has no payload capacity of its own, and it isn't a very efficient mode of transportation. 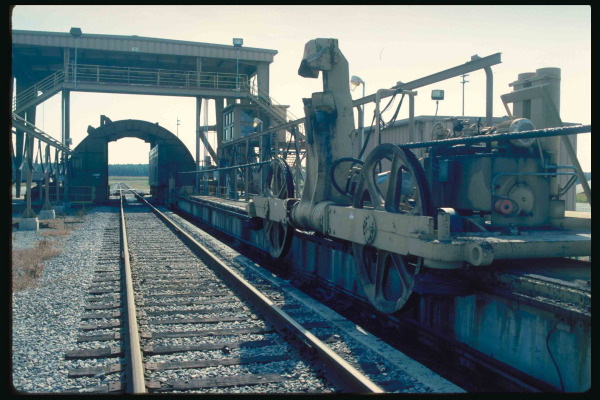 While it is an effective engine for powering supplies of bulk materials such as coal, iron ore, limestone and chemicals across the country, pushing individual railcars a few feet at a time into a rotary unloader is not the best use of its abilities. Heyl & Patterson provides custom-engineered solutions in a wide range of equipment, and can help customers determine the best available equipment for their operations. These solutions include a complete line of railcar movers that push or pull a railcar, string of cars or an entire train without locomotive assistance. 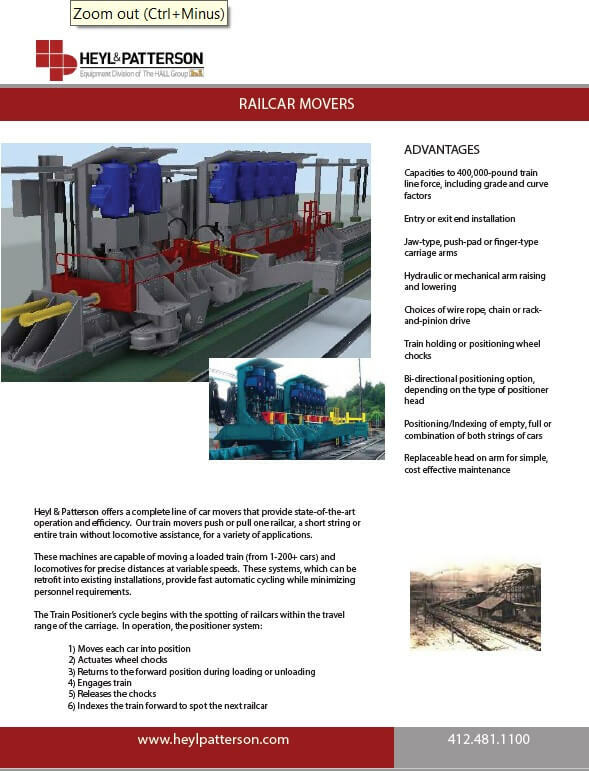 As part of our continuing efforts to update our customers on our product lines, a new Railcar Movers brochure has been added to the Bulk Transfer Division line of literature. 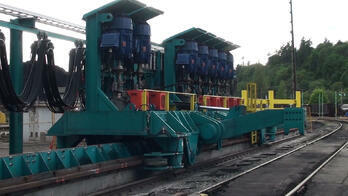 The main purpose of coal handling systems is to transfer the coal as quickly and cleanly as possible as it is moved from one place to another. 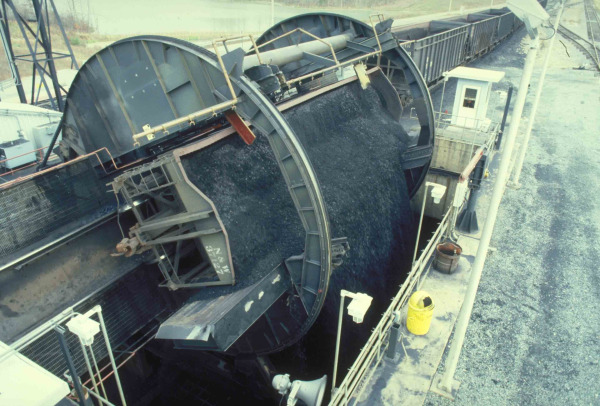 Loading and transporting are just two stages in the process of moving coal from the producer to the consumer. 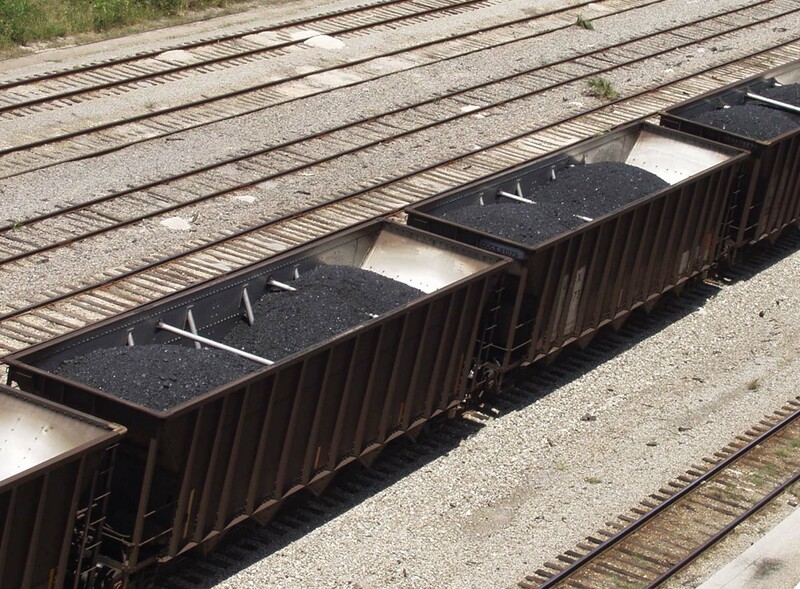 When transporting by rail, coal must be unloaded from railroad cars and a number of options are available, including rotary dumpers and turnover dumpers, which discharge loads parallel to the rails. Mining is one of Australia's most important industries, creating significant employment and greatly contributing to the Australian economy. It's also a vital source of export revenue. Australia is the world's leading exporter of coal and iron ore, and is among the leaders in nickel, zinc, aluminum, gold and uranium. 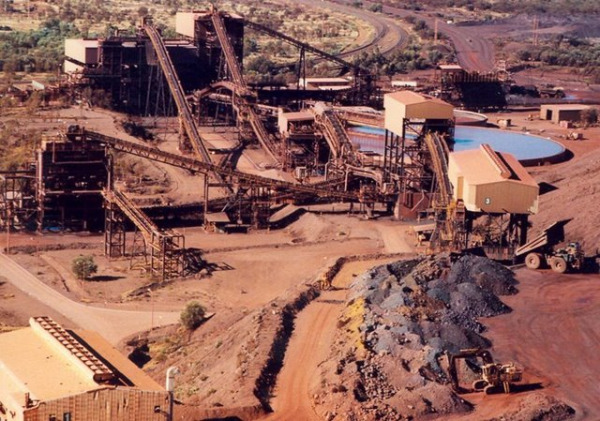 Minerals make up about 35% of Australia's total exports. 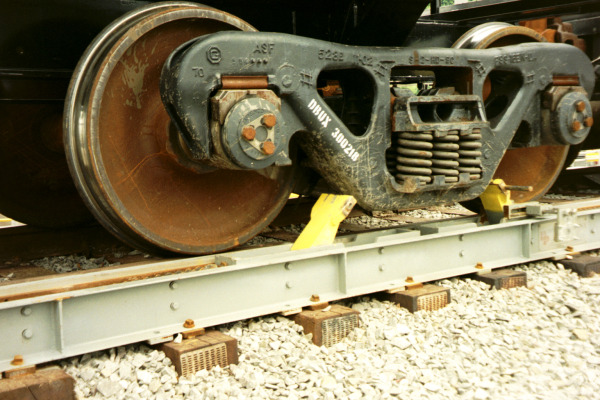 A locomotive's sole purpose is to move a train along railroad tracks. It has no payload capacity of its own, and it's not a very efficient mode of transportation. 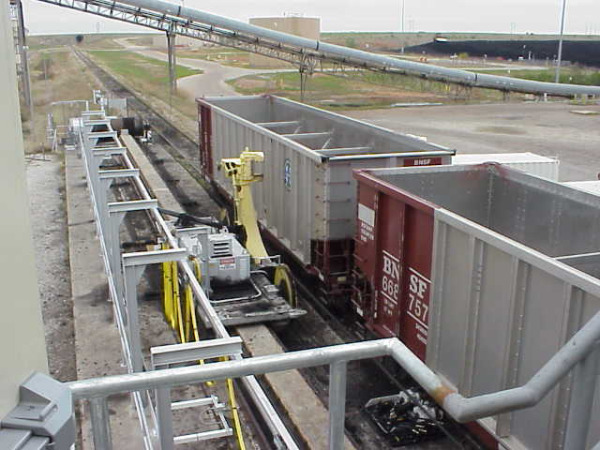 It is an effective engine for transporting raw bulk materials such as coal, iron ore, limestone and chemicals across the country, but pushing individual railcars a few feet at a time into an unloader is not the best use of its abilities. Subscribe by email to receive updates into your inbox. © 2014 Heyl & Patterson Inc., All rights reserved.